How much do you know about carpet? Besides wool and natural fiber carpet there are 3 main materials that commercial carpet is made from. Can you name them? As a company that has always relied heavily on referrals, my family and I decided to join the Business Networkers International (BNI) Minnesota and Northern Wisconsin Chapter. My father, brother, and I own the Commercial Steam Team carpet cleaning company. Our reason for joining BNI was simple; Anyone who experiences our technicians, customer service, and sees their results, refers us to all of their friends. BNI is a community where word of exceptional work spreads very fast. I have been attending the BNI South Metro chapter in Edina Minnesota for a few months now and as the members told me when I joined, “BNI works.” Our technicians have already cleaned for several of the BNI members and their testimonials continue to encourage even more people to use our service. What I like most about BNI is that everyone in the group knows they are accountable for the service they provide to their fellow members and their referrals. I feel confident that I can use and refer their services to my friends, family and colleagues. 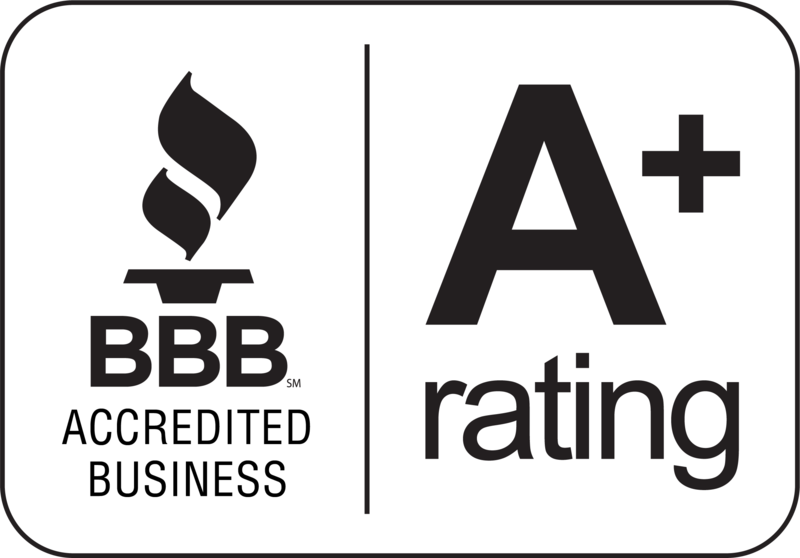 I definitely recommend BNI to any and all small business owners that provide excellent service because in BNI, great work does not go unnoticed. Carpet cleaners have earned themselves a bad reputation for several reasons. Many of the reasons, like rusted white vans, are not practiced by a large portion of the industry, but still affect this perception. One behavior, above all others, is practiced by nearly every carpet cleaning company. Whether you call it shotgun sales, overcoming objections, or simply upselling, the difference between a financially stable carpet cleaner and one scraping by is their ability to achieve difficult sales bonuses. These bonuses are usually based on an average increase in the size of a customer’s bill. This means the main focus of each carpet cleaner is getting the customer to pay more money than they originally were quoted. This is the job of a marketing company or sales force, not the job of a carpet cleaner. This also means that once a carpet cleaner has realized that his sale is not going well, he either tries to overcome the objections of the client, or move on to the next client as fast as possible. Often on two man teams, the crew chief can be found acting as a salesman nearly the whole job while his assistant does all the cleaning. This is not conducive of ensuring they provide the best service possible. https://commercialsteamteam.com/wp-content/uploads/2017/08/cst-logo-300.png 0 0 Ryan https://commercialsteamteam.com/wp-content/uploads/2017/08/cst-logo-300.png Ryan2011-08-15 05:00:162017-01-30 21:43:42Sales Force or Carpet Cleaners? I own a carpet cleaning company in the Twin Cities Area of Minnesota and quality of workmanship has always been my focus. From proper hiring and employee management, to staying up to date on technology, there are many things that go into ensuring quality stays at the highest level it can be. Quality control levels for most companies decline over time, and although there are a lot of factors involved, I believe one of these factors is overlooked by nearly all carpet cleaning companies. The maintenance of carpet cleaning equipment is essential to keeping quality levels high. I was speaking with our supplier who supplies most of the carpet cleaners in the area the other day; He said that we were the only company that does preventative maintenance on our vans. I always assumed that a lot of companies slack off in this department because there are front end costs to this and a lot of tedious work involved. To hear that we are the only company doing it shocked me! Carpet cleaning vans are full of tubes and hoses. If these tubes and hoses get clogged up, the strength of the vacuum drops considerably and the pressure per square inch of solution drops, causing the van has to work at higher rpms in order to try to keep up. This drop in pressure and vacuum strength may not even seem noticeable to the technician, since it happens gradually over time, but this power is very important to the quality that a company can provide. No business can afford to go out and buy new equipment every couple years when the power begins to drop. Some technicians begin to try to boost their results by using more cleaning agents and altering the ph. levels of their solution. This creates unbalance in the ph. scale and can cause rapid re-soiling. This is why de-scaling the equipment and lubricating the machine is so important. Checking valves and running water through the system every night is a must. These machines are the constant in carpet cleaning. No matter who you have operating the equipment, no one can do the best work possible if the equipment isn’t capable of producing the best results possible. Well-maintained equipment gives the technician’s fair opportunity to do their very best work. Who Would You Like to Have Clean Your Carpets? Everything in the Commercial Steam Team column of this article is the standards by which Commercial Steam Team treats our employees. The Corporate Franchise column is a conglomeration of the different trends that they each individually make. Not every franchise makes all of these mistakes with their employees, however each franchise is guilty of at least one of these. Personally, I wouldn’t want to any company who makes any of these mistakes do work for me. I would want a company that takes pride in their employees and treats them accordingly. https://commercialsteamteam.com/wp-content/uploads/2017/08/cst-logo-300.png 0 0 sc https://commercialsteamteam.com/wp-content/uploads/2017/08/cst-logo-300.png sc2011-08-01 05:00:542017-01-30 21:43:43Who Would You Like to Have Clean Your Carpets? Bills being sent to the job site instead of the billing address. Companies expecting to be paid on site or in advance, instead of 30 days out. No understanding of budget restrictions. Locations of cleanings not listed on invoices causing confusion about which locations have been cleaned or paid for. These may not seem like big issues, but when you’re in the property management business these problems can happen over and over, even hundreds of times a year. Even if they are minor headaches, they add up. I own a commercial carpet cleaning company in the Minneapolis / St. Paul area and surrounding suburbs. I have found that it takes a lot of the stress away from property managers to know that they do not have to sign a contract and they can leave at any time. After all, if we don’t make them happy then we don’t deserve their business. Most residential companies do less than 10% of their business with other businesses. As a commercial carpet cleaning company doing over 85% of our business with other businesses, we have learned the importance making billing simple and easy to reduce the stress and headaches that property managers face on a daily basis. https://commercialsteamteam.com/wp-content/uploads/2017/08/cst-logo-300.png 0 0 sc https://commercialsteamteam.com/wp-content/uploads/2017/08/cst-logo-300.png sc2011-07-28 05:00:562017-01-30 21:43:43Property Managers Can Avoid Billing Headaches! It is true that corporate franchises have deeper pockets than independent family owned businesses. This is definitely true in the professional carpet cleaning industry. Other than that, what are the differences between corporate franchises and family owned businesses? Franchises tend to pay closest attention to the “bottom line”. Ideals, morals, employees, and customers usually take a back seat to the stock holders. Since those that profit from the business are not usually present to see these employees and customers, it is easy for them to become disconnected from the people that their decisions effect. Franchise owners have to pay their corporate parent company a percentage of their profits. I am familiar with companies being charged 15% of their gross sales. Franchise owners are usually forced to buy their equipment and cleaning agents directly through their parent company regardless of whether it is the best or most cost effective product. Deep pockets often lead to expensive advertising campaigns that drive in business. Sometimes so fast, that it reduces months of training to only a few days. Independent family-owned businesses are run by the morals and values of their family. Not all families are the same, but a strong morally-just family will most likely build a strong and morally-just company. Without a parent company to answer to, family owned carpet cleaning companies are allowed to choose the best product on the market. Without a 15% franchise fee to pay, family owned businesses can pay their employees more and buy more powerful equipment, resulting in better outcomes. Because there is no board of directors to appease, family owned carpet cleaning companies can treat their employees the way great employees should be treated. I recommend profit sharing as a means of doing this. Without the money to hire large advertising firms to drive in business, family owned businesses rely on repeat business and referrals through hard work, expertise, and customer service. Although it is true that not all family owned independent businesses follow these guidelines, it is true that corporate franchises have no choice but to adhere to the guidelines that their parent companies have set for them. Franchises are more easily accessible due to their advertising, but once discovered, family owned businesses have the potential to provide far superior service than corporate franchises. You Know The Price, But What Are You Paying For? In the professional carpet cleaning industry, the term, “professional” can be a loose term. This can be for many reasons, but the one I plan to focus on in this article are those with good intentions and training, but weak equipment. What do I mean by weak equipment? Equipment can be purchased for as little as a few thousand dollars or more than 50,000 dollars. Why would anyone pay 1,000 times as much for equipment unless it is substantially more powerful? Some portable carpet cleaning equipment is small enough to be transported in the trunk of a car and run off of low wattage circuit breakers. In order to get the most power possible for carpet cleaning equipment, it is powered directly off of the van’s 8 cylinder engine. To draw even a fraction of the power of an 8 cylinder engine from a circuit in a home or business, the circuit would pop in a matter of seconds. The more powerful the carpet cleaning equipment, the more thorough the cleaning will be. We all worry about price when we schedule service appointments, but we also have to consider that a very low price can mean very cheap and weak equipment. Even the best of intentions can’t replace the power that is necessary to do the job right. https://commercialsteamteam.com/wp-content/uploads/2017/08/cst-logo-300.png 0 0 Ryan https://commercialsteamteam.com/wp-content/uploads/2017/08/cst-logo-300.png Ryan2011-07-11 05:00:582017-01-30 21:43:43You Know The Price, But What Are You Paying For? What is a residential carpet cleaning company? What are the differences between a residential carpet cleaning company and a commercial carpet cleaning company? What are some of the problems that come up when hiring a residential carpet cleaning company? Carpet cleaning started in the residential districts and residential carpet cleaning continues to be the lion’s share of the carpet cleaning industry. The reason for this is that the profit margin on each job is much higher in residential carpet cleaning. By training salespeople to upsell in the home, split second decisions made under pressure can bring a residential company large dollars. Residential carpet cleaning companies usually pay very little for carpet cleaning; bonuses are instead given for add on sales. Residential carpet cleaners can make a very good living if they are trained heavily in sales. Budgets are already in place when businesses get cleaned, so training in sales are pointless to commercial carpet cleaning companies. Customers can be placed into large vague time frames to minimize driving time and waiting between jobs. By placing all of the jobs from Lakeville, Apple Valley, Eagan, and Rosemount Minnesota together, residential carpet cleaning companies can avoid gas costs. Although this is inconvenient to the customer, it has been done this way for so long that most people accept it and take time off of work to get their carpets cleaned. Commercial businesses need to be cleaned when they need to be cleaned so these time frames are irrelevant in commercial carpet cleaning. Although commercial strength carpet cleaning equipment is better for cleaning residential carpets, it is not as necessary as this equipment is in restaurants, and trucking companies, etc. Therefore this expensive equipment is usually not considered as cost effective for residential carpet cleaning companies. Advertising is key for residential carpet cleaning companies. Formula’s such as X amount of dollars spent on advertising equals a similar amount of customers received from the advertising and the profit comes from the up selling done once in the home. Commercial clients don’t usually to find their carpet cleaners through advertising. Businesses tend to find their vendors through networking and referrals. Because of this commercial carpet cleaning companies don’t tend to spend as much money on advertising and instead focus on quality and repeat business. Large corporate franchises are the driving force in the residential carpet cleaning industry. What these franchises lack in quality control, they make up for in advertising dollars. I am not currently aware of any commercial carpet cleaning franchises. I am only aware of independent family owned companies in the area of commercial carpet cleaning. Family owned independent companies tend to deliver higher quality because the owners are “present” and often maintain the ideals they were raised with. If your profit comes from advertising, then you will focus your resources toward advertising. If your profit comes from upselling, your focus will be on sales. However if your profit comes from repeat business, then your focus will be on the hiring, training, and maintaining of career professional employees. This is where commercial carpet cleaners stand apart. https://commercialsteamteam.com/wp-content/uploads/2017/08/cst-logo-300.png 0 0 sc https://commercialsteamteam.com/wp-content/uploads/2017/08/cst-logo-300.png sc2011-07-07 05:00:242017-01-30 21:43:43What is a Residential Carpet Cleaning Company? Commercial carpet cleaners have more powerful equipment that gets far hotter than most residential companies because this is necessary to release the grease and oils that are often on commercial carpets. That heat also does far better to release dyes in the carpet such as coffee. Commercial carpet cleaners have more powerful vacuum strength as well. This is because most businesses, especially restaurants, can’t have their carpets cleaned until their business day is over and that can be as late as 2:30am. The carpet then needs to be dry by the time they open in the morning. The stronger vacuum strength supplied by an 8 cylinder engine cuts the drying time down considerably. This vacuum strength also increases the percentage of debris and particles that are removed from the carpet fibers. Commercial carpet cleaners have a responsibility to do more thorough background checks and pay substantially more than residential carpet cleaners to ensure that they always have clean cut, professional personnel. Government agencies and other secure businesses often require background checks on the vendors that will be entering their buildings. Also, residential carpet cleaning relies on advertising to bring in a steady stream of new clients and commercial carpet cleaning companies rely on repeat business as the bulk of their business. The quality of employees is the largest key factor in this equation. Residential carpet cleaners hire and train salesmen because the person holding the checkbook is usually on hand to talk to. Commercial carpet cleaning companies hire and train for quality instead because the decisions are usually finalized in a board room weeks before the job is completed so there is no point in trying to sell anything during the job. This is why commercial carpet cleaners train for cleaning, not for selling. Residential carpet cleaning companies usually work a normal 9-5pm schedule. Commercial carpet cleaning companies understand that the normal business model for residential carpet cleaning companies won’t work well for businesses. Commercial carpet cleaning companies may do a job at 5pm in Plymouth Minnesota and then head down to Apple Valley Minnesota for another job at 8pm. A crew may finish a job in Roseville Minnesota at 7pm and have to wait for 2 hours to start a job in Shakopee Minnesota at 9pm. Residential carpet cleaners want to use broad time frames like am or pm time slots in specific areas of the state. Businesses simply need it to be done when they need it done. The truth is that all of these characteristics that successful commercial carpet cleaning companies should possess are better for both commercial and residential carpet cleaning. The difference is that these standards are absolutely necessary to do a great job in commercial carpet cleaning where as they are a luxury in residential carpet cleaning. Personally, I would prefer a commercial carpet cleaning company at either my house or my business, but then again I am a little biased as one of the founders of the Commercial Steam Team in Burnsville Minnesota. https://commercialsteamteam.com/wp-content/uploads/2017/08/cst-logo-300.png 0 0 sc https://commercialsteamteam.com/wp-content/uploads/2017/08/cst-logo-300.png sc2011-07-04 05:00:242017-01-30 21:43:43What is a Commercial Carpet Cleaning Company? I own a successful commercial carpet cleaning company in the Twin Cities Area of Minnesota. After scheduling a 100,000+ square foot carpet cleaning job for a large defense contractor in Plymouth, which will remain nameless, I thought to myself how glad I am that I can send in my employees’ background checks without worry. This made me think about all the times that I have had service personnel in my business or home without the slightest clue what kind of past they have. This sparked another thought; When I am searching for the lowest price I can find, am I increasing my chances of having a thief, or worse, come to service me? Wages are a factor in the prices that we pay for services and the lower the wages the lower the possible price of service. I won’t say that every high priced company pays well, but I think it is safe to say that the cheapest out there hire the cheapest employees they can find. Sometimes this can be accomplished by hiring known felons who may have difficulty finding a better paying job. Keeping this in mind, I will think twice about going with the cheapest bids. How important are employees to a growing business? I can’t speak for the rest of the world, but here in the Twin Cities Area of Minnesota, employees are the “truth in service”. What do I mean by that? If a business owner is greedy, he won’t pay enough to get the best employees. If a business owner doesn’t train his employees well enough, it shows in his employees’ performance. Honest owners encourage their employees to be honest with their clients. Employees who are treated fairly by their employer are happier and that will show in their demeanor. Employers that pay attention will have employees who don’t cut corners. Employers who reward hard work will have employees who go the extra mile. These are all unavoidable ways that employees directly reflect the practices of their employer. This is truth in service. If your employees don’t give proper service, look at your practices first and see how they parallel the practices of your employees. It seems impossible to get just about any service these days without being on a contract. Contracts would be fine, but the way they are written these days state that you have no choice but to keep using a service even if the service provided doesn’t live up to the promises made by the salesperson who sold the contract. Contracts should not be an excuse to give bad service. My family and I own a carpet cleaning company in the Twin Cities Area of Minnesota and we choose not to make our clients sign contracts. Our family’s motto is “If we aren’t good enough to keep you happy, then we don’t deserve your business.” This notion seems simple or idealistic, but I think the world could use a big dose of idealism right now. Did you know that every inch of Commercial and Residential Laid Carpet has Carpet Protector applied to it at the factory during the manufacturing process? This is because the companies who make the carpets understand that their carpet will not live up to the warranties without this protector coating the carpet fibers. Carpet manufacturers don’t want to spend any money that will not make them or save them money. I see this as proof that carpet protector not only works but works well enough to be cost effective to every single carpet manufacturer. Why are networking groups wonderful for carpet cleaners? For those of us carpet cleaners that “walk the walk”, networking is a forum for educating the public and also a chance to spread the word about what an amazing job we did for Bob’s mother in law’s sister’s cousin’s fiancé’s best friend’s boss. First-hand knowledge is always the best evidence but when that is not available, the word of someone you trustworthy is a close second. Who sets the standards of quality in the carpet cleaning industry? I wish I could answer that question by giving you a name of someone or some agency that holds those in our industry accountable. However, there isn’t one. It’s not like the NFL where a commissioner oversees the actions of the owners and players and fines those that step out of line accordingly. In the past our reputations had been the best way to sort out the good, the bad, and the ugly. If you did a good job for someone then you would clean for their whole extended family and friends. People looked to each other for this info because they trust each other more than the advertising executives that wrote the commercial on their favorite radio station for piles of money. Those days have seemingly ended. Even here in the Twin Cities Area of Minnesota it is hard to turn on the radio without being bombarded with inaccurate scare tactics citing 20 year out of date statistics. As consumers we have grown dependent on T.V. and radio advertising to tell us what to buy and where to go. Our first call is usually to the jingle bouncing around in our head, instead of to our parents or friends for references. Our industry has accepted this as the standard practice for quite some time now and acts accordingly. X dollars spent on advertising = Y dollars of new customers. No need to do great work if there is someone new to fill the void whenever you lose a client to bad service. So who does set these standards? Who demands accountability? Most people blame the consumer. “You get what you ask for.” On some levels that’s correct. But how many times can you be disappointed after giving up your precious time researching without saying “what’s the point?” It’s easier to be disappointed after calling the first company that comes to mind than to be let down after putting forth an effort. Also, if there were enough companies out there worth referring then that is where our minds would first go. I believe that it is the small businesses that set these standards. We can choose to compete with the big national franchise moguls by cutting corners and slashing prices to eek out a living, or we can do what those huge companies can’t do by ensure quality stays at its highest level. We accomplish this by hiring idealists as well as using profit sharing to ensure that they take as much pride in the company as we do. We use our money on the best top of the line equipment instead of advertising. We pass out bonuses for quality control instead of sales. We train carpet cleaners instead of a sales force. I may just be a small business owner in the Twin Cities Area of Minnesota, but I believe that we can be an example to the public. We can lead the way to higher standards in the carpet cleaning industry. https://commercialsteamteam.com/wp-content/uploads/2017/08/cst-logo-300.png 0 0 sc https://commercialsteamteam.com/wp-content/uploads/2017/08/cst-logo-300.png sc2011-04-29 05:09:172011-04-29 05:09:17Who sets the standards for carpet cleaning industry in the Twin Cities? Confucius said “The path to wealth is rich in hate.” This is one of my favorite sayings, partly because it is so very true in most cases. But also because I love challenges and proving that statement to only be solid wisdom instead of solid fact is a challenge worth taking on. The carpet cleaning industry in the Twin Cities Area of Minnesota is an industry that employers and employees can make a good living. In most cases a bonus system is set up for “upselling”. Raise the bill of your clients far enough above what it was when it was booked and you get a bonus. This is not bad for the employee’s wallets but not always good for their conscience. This can indeed breed “hate” from the consumers towards the companies and even employees who use high pressure sales tactics. It also breeds an environment where sales training and skills outweigh quality control and technical training essential to doing a great job. The best carpet cleaners are rarely the best salesmen. I don’t think upselling should be rewarded that way. Employees should understand the products and be knowledgeable about them enough to inform the client when asked or when it is obviously necessary. Mentioning and selling are two different things. There is another method that breeds “hate” even more. This is the bait and switch method. Everyone has seen ads for $5.95 a room or something along those lines. If you check the small print you will see that it says something like “deep cleaning 40 cents a square foot”. When the cleaner shows up to do the job he turns down his equipment and cleans a room with plain water. Then he pre-sprays the carpet and turns his machine up to full power and cleans a stripe down the center of the room. He then asks if the customer wants him to do that method over the whole carpet for 10 times what they were originally quoted. By the time they leave the customer is left feeling cheated. The employee makes a good living this way but only in the monetary sense. That method leaves the customer feeling cheated and foolish. The employee can’t take pride in how he makes his living. There is only way that I have found makes sense to compensate employees well while also making the customer truly happy as well. This method is simple profit sharing. At the end of the year when the profit numbers are figured out the employees split 10 percent. Each year at the company the employee is vested one more share in that percentage. This rewards both loyalty and quality. The more work the company does as a whole, the more profit there is to go around. Yes the employer has to give up 10 percent of his/her profits but with the increased quality and attentiveness from the employees, I don’t doubt it adds more profit than it costs. This way the employees can take pride in how they make their living as do their families. This way the customer can take pride in knowing they got a great job at a fair price and that their money is going toward a company that treats their employees with respect. This way the employer, in this case me and my family, can take pride in knowing that they are building a successful company without the expense of anyone involved. Or rather without the “hate” that usually accompanies that success. Profit sharing has worked great for my company in both employee retention and quality control. To be honest the results have been immeasurable. Have you ever been to a fast growing franchise restaurant and felt like the person helping you either doesn’t know what they are doing or just doesn’t care? Of course you have, we all have. Unfortunately this isn’t exclusive to the fast food industry. It can happen in any industry when a company grows “too fast”. The dream of just about any business owner is to have their company skyrocket to the top. They look for gimmicks, advertising schemes, and even mudslinging to make this happen. Some industries like law firms and investment companies have readymade employees to purchase from the well-stocked shelves of universities. Industries that require on the job training don’t have that privilege. Industries like carpet cleaning require mentor training, or apprentice training. Reading a training manual only gets you so far. Professionals need to pass their expertise down in person. Mass advertising and gimmicks can lead to very rapid growth, especially when the new fad is creaming the market. Going from 1 van to 10 or more vans in a couple years is wonderful in theory. However, it takes at least 10 people to run 10 vans. 20 if the recommended 2 employees per crew are used. In theory there would need to be 10 experts to train these 10 crew chiefs for several months. One expert just can’t get that done properly. In fact the rapid growth most likely takes that person out of the equation entirely as the responsibilities of the administration grow just as fast. When does this training happen? In a slow but steady growth model, driven through referrals, there is time for assistants to train under experts for 6 months or more. Not only learning the basics, but also becoming very comfortable with all the variables they might run into in the field. Mass advertising and excessively rapid growth would make this very difficult to do properly. Did you know the Commercial Steam Team also cleans homes? Many people don’t know this. In fact if you don’t work at one of the many businesses they clean, you might not even know they exist. The Commercial Steam Team has been cleaning for some of the dirtiest companies in the Twin Cities Area of Minnesota for years. Also cleaning the homes of the employees and owners of these businesses. Already the leader in commercial carpet cleaning, from greasy restaurants to oily trucking companies, no one has had more success on the toughest, dirtiest jobs around. Without advertising, business has grown for the Commercial Steam Team through this tough economy while the rest of the industry is down significantly. This is because of the unheard of quality provided by the well trained carpet cleaning professionals in our employment. In the last 2 years, the Commercial Steam Team only had to return to 23 out of 1814 jobs (every one of those clients is still a very happy client). This amazingly low call back rate is in spite of calling every single client a week after cleaning and offering to go back if they have any concerns at all. This is unheard of professionalism in our industry, as residential companies are not held to the same standards as those of us who clean the carpets for fortune 500 companies. Businesses often clean on a schedule, sometimes multiple times a year and they don’t want to have re-occurring headaches each time the carpet needs cleaning. The Commercial Steam Team has perfected our carpet cleaning methods and hires only the very best clean cut people. With profit sharing and generous bonuses for customer satisfaction, Commercial Steam Team employees have kept even the most hardnosed managers happy for years. Now this same commercial strength equipment and professionalism is available for residential clients. Mention this post for a 10 percent discount on your home’s carpet cleaning! Employee turnover in the carpet cleaning industry is a very large problem. In search of profits employees are often undervalued and under paid. Expedited growth in a company due to things like mass advertising can also cause employee turnover as well as mass hiring which poses the same problems. Carpet cleaning isn’t the hardest of all professions but it is manual labor and does require stamina and motivation to do a great job every time. Employees require training and an apprenticeship of sorts in order to become experts in the field. Hiring and maintaining the best employees is crucial in this professional industry. When someone hires a carpet cleaner they expect to have someone capable and experienced show up. If that cleaner has only been working for a few weeks, many problems could occur. Spill diagnosis, problem identification, mixing ratios, equipment repair and maintenance, even patience and wisdom come with experience. The longer an employee is around, the longer he/she will feel vested in the company and want to do the best job possible. I highly recommend profit sharing at the end of the year. This boosts morale, especially since it lands in a crucial month in the slow part of winter. Also we can’t forget the obvious, pay employees a fair wage. Don’t try to squeeze every dime out of them. Make sure they can go home proud of themselves so their wife and kids will look up to them. Carpet cleaners work hard and deserve fair compensation. Another big problem with some of the larger carpet cleaning franchises is that they charge their employees for the cleaning agents and equipment they use. Any time an employee has to decide whether or not to use something that will help them do the best job possible, it is a hit to the pride. They either give up the money or the quality but they can’t have both. In either case the quality of the job suffers. Making someone pay for something the employer should pay for also makes people feel they are being taken advantage of. My company, the Commercial Steam Team, has had almost no employee turnover since we started the company in 2003. That’s because we believe in our staff, support them, and treat them like family, not like tools to use and discard. In fact only one employee has ever left the company and the reason he did was to finish law school. I am proud of how we have run our company and will continue to do so. Ask just about any Established Professional Carpet Cleaner in the Twin Cities, or anywhere for that matter, what makes it tough to make a profit and they will usually bring up the “low ballers”. These are fly-by-night companies that pop up and offer bad work for low prices. You see, the carpet cleaning industry is one of the easiest industries to get started in. It is however one of the most difficult to compete in. After people lose their jobs or even quit their jobs they figure they can buy some cheap equipment and enter the industry. These people receive a crash course and a franchise or sometimes not even that. They have good intentions but have no experience in either being a carpet cleaner or being a business owner. They stick it out for 6 months to 2 years offering unrealistically low prices. They eventually realize they are working hard but can’t make a profit even without hiring employees. Just as fast as they disappear due to a lack of quality, no profit margin, or a bad reputation, another pops up to take its place. This creates a constant stream of “low ball” companies that in some ways affect the industry as a whole. Companies that have nearly perfect customer satisfaction are labeled with the same cloud left behind by the spotty work of these fly-by-nights. Reputation is key to individual companies, but it is also key to the industry. Some people lose faith that great carpet cleaning companies exist and they just stop looking. Especially in a market like the Twin Cities Area, companies need both good intentions, and time to build knowledge and expertise. It is also important for the company to offer incentives for good work like bonuses for customer satisfaction and profit sharing which never exist in the “low ball” companies. “Too good to be true” just doesn’t exist in satisfaction run industries. “Fair pay for great work” not only exists but is “fair” for both parties involved. Office chairs are extremely expensive. The lowest end seems to be around $150. Nice ones are often $250 and up. Even if you only have 10 employees your bill is easily in the thousands to replace your office chairs. You don’t even want to know how much if you have hundreds of employees. Sometimes replacing is the answer when you have holes in the fabric and other actual damage. Far too many companies don’t realize that they can have their chairs cleaned on a regular basis for a small fraction of that cost. For $10 or less a chair, depending on volume, the Commercial Steam Team thoroughly cleans office chairs. This is a far cry from the staggering prices of replacing. Another main reason for having office chairs cleaned by highly trained professional carpet cleaners is office productivity. Look and smell aside, chairs store dust and allergen particles that release into the air as people sit down. When they take a seat the spongy pad inside the chair squishes forcing the air stored inside the pad out at high speeds. The allergens take a ride once again floating in the air for long periods of time. Because of this your employees are breathing these allergens in all day long. Allergies are the true cause for a large percentage of sick days. As we all know, employees are not at their best when they are still working but experiencing fatigue, congestion, wheezing, headaches, and other symptoms from allergies. This is why having your office chairs cleaned regularly is very important to a high quality work environment. Call an experienced professional for help cleaning your office furniture and experience the benefits right away! The Commercial Steam Team introduces our encapsulating spot remover. We have been using an encapsulation spot remover both at our jobs and as gifts and products for our clients for about 4 years. We kept it under wraps without announcing our use of it online in our blogs because we always make sure to test everything we use long term to make sure that it works properly. First we research it. Then we use it in our own homes. After that we use it ourselves on jobs. Finally we give it as gifts to our clients. Now that our clients have been raving about it for years we decided to mention it here in our blog and offer anyone who mentions this a free bottle of our encapsulating spot remover when we clean the carpets at their business or home here in the Twin Cities area. As the foremost experts in commercial carpet cleaning, we take pride in making sure that everything we use is non-toxic, bio-degradable and hypoallergenic. Lots of people have problems with dogs peeing or marking their furniture. My rascally dog “Buddy” is no exception. To make it worse his urine is bright yellow. I can’t bring the van home to Rosemount from Burnsville every weekend, so I was so glad to discover that this encapsulation spotter took care of all of his mistakes for me. One of my employees, Steve, cleaned up the powdered toner that his brother-in-law spilled under their desk chair and forgot to tell him about. He was amazed too. The way it works is the easiest thing I have ever come across. Simply blot first (always blot first before any cleaning method to remove excess spill liquid). Then just spray the encapsulating spot remover directly on the spot. Use something to work in the spotter into the fibers. You can use the bottom of the bottle or even your fingertips. You can use a towel but if you rub too hard you will cause damage to the fibers. Also, always use a white towel, or dye transfer is always a possibility with any method. After this you just wait until the carpet dries completely. With some spills, it will already appear to be gone and others will not. The next step after the carpet is dry is to vacuum the carpet with your vacuum cleaner. I just wait until I’m vacuuming anyway. It is amazing how often this works. I have had and heard of great results on coffee, sticky residues, pop spills, animal urine. This is also the safest method to start with and it can be repeated if it doesn’t completely work the first time.